I have been doing a little research on essential oils and aroma therapy. 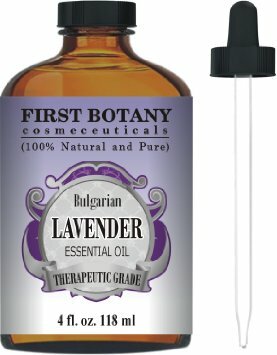 I recently had the opportunity to try out 2 essential oils. The first is Pure Eucalyptus Oil. When I received it I did even more research to find out exactly what the uses are. 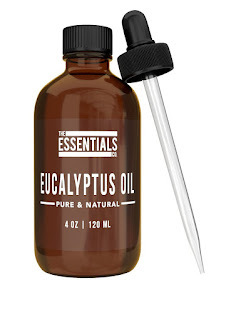 I came to learn that eucalyptus oil is actually good for all types of skin irritations and naturally fights bacteria. It's good for acne, insect bites, scalp itch. It's also good for clearing sinuses and stuffy nose. This is a big 4 ounce bottle not the tiny 1/2 oz bottle normally sold by other companies. This pure essential oil is great for your own aromatherapy treatments. The second essential oil is Bulgarian Lavender Oil. This also comes in a 4 ounce bottle. It's 100% pure with no fillers or paraben. Lavender Oil has many uses, it reduces anxiety, treats headaches,reduces stress, treats depression, and is perfect to use in a diffuser. It relieves migraines and is a good sleep aid. This is one of the few natural remedies to aid in anti-aging. It can be used in soaps, body wash, candle making, and room sprays. It smells so nice! Both of these oils come with a glass dropper, making it easy to use just the right amount. I really like using natural products to treat things when possible rather than harsh chemicals. These are both really good essential oils to keep on hand.